Washington Post reporter Tom Jackman pointed out this morning that the Virginia state Senate has already passed misleadingly titled legislation that would authorize the counties and cities in Northern Virginia to impose a one-percent tax increase on residents that would be used to remedy transportation problems. The bill -- titled “City of Portsmouth authorized to levy to generate revenue for transportation” -- was passed last week and would allow the tax hike to be passed without voter referendum. A local city council or board of supervisors would simply have to pass an ordinance in order to impose the tax. The bill still needs to be passed in the House, and if it does pass, there's sure to be some backlash. Jackman reports that none of the counties or cities in the area sought this authority, and when he talked to local leaders, only Arlington board chair Walter Tejada was open to even consider it. 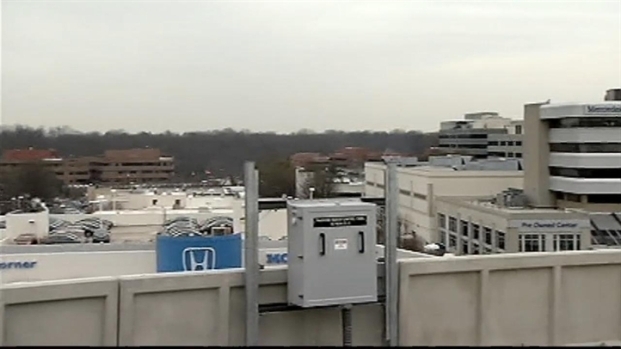 The Dulles Metro Project is impossible to miss it if you drive through Tyson's Corner. News4 transportation reporter Adam Tuss got an up close look at the project. The bill would authorize the counties of Arlington, Fairfax, Loudoun and Prince William, and the cities of Alexandria, Fairfax, Falls Church, Manassas and Manassas Park to impose the one-percent tax hike.